Although The Joker is one of Batman’s greatest villains, his backstory has always been kind of vague. It wasn’t until Alan Moore’s “The Killing Joke” that we began reading more into how The Joker came to be. If you’ve ever read the comic then you’ll see a lot of similarities between “The Killing Joke” and the brand new Joker trailer. Check it out! The crazy method acting style of Joaquin Phoenix has always been known in Hollywood. This came into the forefront with his rapping career stunt for the film, I’m Still Here. So it’s only fitting that he would bring to life the iconic Batman villain in his own origin film. 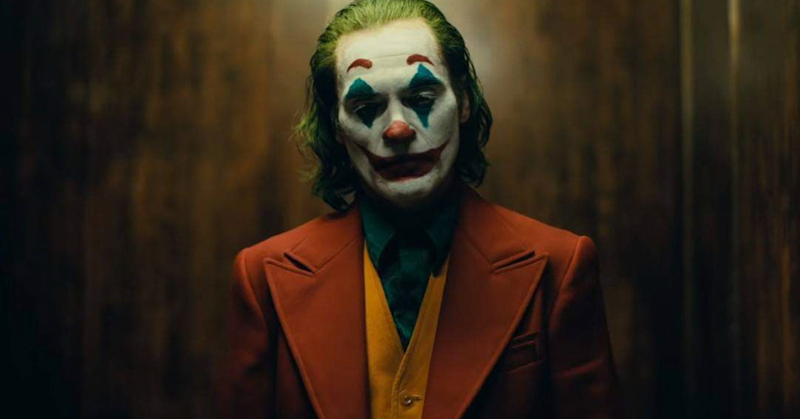 Throughout the Joker trailer, you can see a lot of the creepiness, craziness, and intensity in Phoenix’s performance. Not to mention, there are his various laughs as well. The Joker’s laugh is one of the things that makes the Joker, well… The Joker. Whether you like Phoenix’s laugh or not, it’ll still make you feel uneasy. Now, the biggest question raised from the trailer is, “does Batman exist in this film?” There was a hint in the trailer in which a police officer says, “someone who hides behind a mask.” There are people within the GCPD who does believe that Batman is a menace. So does this mean that the Joker is framing Batman or is that officer talking about the Joker? Either way, it’s interesting to see Scorsese’s influence on this film. In fact, that was one of the biggest reasons I was looking forward to this film. The film is dark, gritty, and intense—much like a Scorsese gangster film. In addition, the film will undoubtedly have comparisons to Scorsese’s black comedy, The King of Comedy. King followed a man who has delusions of becoming the best comedian in the world. He stalks and kidnaps a late-night talk show host with the hope that he gives him his big shot. During yesterday’s CinemaCon presentation, Todd Phillips described the film as a tragedy. In the film, Arthur is a failed comedian who’s struggling to make ends meet—much like “The Killing Joke”. So the pairing of Scorsese and the Joker seems too good to be true, but it’s actually the perfect pairing. Joker laughs his way into theaters on October 4th.